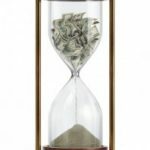 Flexible Spending Accounts Under Attack? 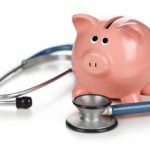 Do you have a Flexible Spending Account (FSA)? We do, and we love it. Every year, my employer lets us set aside up to $5k in pre-tax dollars to pay for healthcare expenses that aren’t covered by insurance. This includes co-pays, deductibles, prescriptions, orthodontia, vision care, etc. Well… The Senate Finance Committee has just approved healthcare legislation that would dramatically reduce the value of this perk. More specifically, they’re talking about instituting a $2500 annual cap on FSA contributions that would not be indexed to inflation. As things currently stand, FSA contribution limits are determined by individual employers. Is this a big deal, or much ado about nothing? My view is that, while standardizing the contribution limits across employers isn’t all that egregious, $2500 is on the low side, and I hate it when Congress fails to index these sorts of things to inflation. Paying Income Tax on Your Health Benefits? What idiots actually believe that carrying all the overhead and paperwork to run this program is an efficient use of any time or money? The same ones that think FSA programs create jobs? The FSA has to be the most convoluted and unnecessary idiocy anyone has every dreamed up and painted as a tax break. Perhaps there are millions of peons out there with nothing better to do than to use the little FSA payment cards and save their receipts for laxatives. Lower taxes across the board and let people spend it where it is important to them. It is more efficient and has a better economic effect. Are you a peon? Do you need the government meddling in your financial matters? Man, it sometimes feels like all that the middle class (I assume most posters here are middle class) ever does is complain about their precious perks being reduced. Sorry, it may sound harsh, but I get tired of everyone always complaining about taxes. My analysis is that $2.5k is low if it is a limit per household or even per job. I hope that it is $2.5k for single and $5k for married filing jointly. I think there would be a lot of overhead in insuring that people with multiple jobs were not getting extra perks though. I do not really have a horse in this race though since I contribute less than $2.5k per year to my FSA anyway. A standardized limit is good though. I wonder if employers will still have the option of setting it even lower. I think that eliminating the FSA could have been a good plan, but businesses that spent all kinds of money upgrading their systems so FSA debit cards could be used on them would balk at them going away. Also, the companies that run FSAs would lobby hard about lost jobs, etc. Also, the best perk of the FSA is that you get it all up-front. That has a lot of value since it allows you to quickly pay off bills from an emergency that occurs before you meet your deductible. It’s going to take a lot more money than advertised to pay for any of these health care plans. Expect perks to be trimmed and taxed, and the middle class to keep getting hit because there simply aren’t enough rich people to soak. If they don’t get you one way they’ll get you in an other. Let’s not confuse FSAs with health insurance. FSAs aren’t any good for covering “what if something unfortunate happens to me?” You have to commit in advance to spending the money. In that sense FSAs are the opposite of insurance. If the law got rid of FSAs completely, and also passed a straightforward tax break to make up the difference, most people would be happy about it. Most people I know find FSAs an annoying way to cut their taxes. The important thing to realize about FSAs is that, since you lose the money you don’t spend, they encourage spending (even more than most complex tax breaks do). Which the government loves and which I bet most people on this forum don’t. Cali: You’re never limited on the healthcare that you can receive. Rather, this just limits the amount that you can pay for with pre-tax dollars. To those who are already limited to $2500 in FSA contributions by their employer, and are thus unconcerned, look at it this way… Under the new rules, your employer wouldn’t be able to increase the cap to keep up with inflation. Instead, you’d be stuck at $2500 forever (or until Congress sees fit to change the rules). As an aside, I agree that FSAs are an imperfect beast, and have criticized them in the past. That being said, limiting contributions isn’t going to improve the situation. We have used our FSA every year until this past year, when we switched to a high deductible insurance plan and an HSA due to the tremendous increase in my husband’s insurance premiums. If I were still using an FSA, I’d be disappointed in the $2500 cap. With co-pays for three kids, 2 parents with corrective vision (glasses and contacts), dental bills, etc. the FSA really helped keep more money in our pockets. And, I am NOT RICH. We just try and plan and hope to be smart with our money. So, I think capping the FSA at $2,500 will hurt a lot of middle class families that try and spend their money wisely. And, yes, this is a backdoor way to raise taxes. We don’t have this system in the UK and it sounds very complex Im not sure If I would like to be limited on the healthcare I could receive if something unfortunate happened, because of a lack of funds. The downside of the UK is waiting times, but on the whole you get a pretty good deal for what you spend in taxes. Oh noes! I know it was a blessing to have been able to contribute $3k to ours this year. I was able to pay our hospital bills after the birth of our child within a few days of getting the bill instead of making monthly payments to the hospital. I’d much rather those “payments” be taken out of my paycheck twice a month and reduce my tax bill. I can’t see us wanting to put more than $2500 into ours in the future, but you never say never. Surely this would affect a lot of people and should be regarded as pure crap if this gets seriously considered by the govt. I’d love to see them eliminated entirely and replaced by a system allowing deduction of medical expenses before hitting the 7.5% of AGI that exists now. We have FSAs and use them enthusiastically, but they’re both a pretty stupid setup (have to anticipate expenses up to a year in advance) and not at all equitably allocated … contingent on (a) that you work (not available to retirees, e.g. ), (b) that you qualify for benefits, (c) that your employer offers one, and (d) how much. Pretty stupid setup, IMO. I’ve got a FSA, hope this doesn’t end up making the cut in congress. My employer already caps my contributions at $2,500, so no big deal here. In the effort to create an equal and socialistic society, it must be done! j/k. FSA is awesome especially for big ticket expenses such as doing Lasik eye surgery. We just have to accept the way America will be for the next 8 years. It seems like a reasonable cap to me for an individual. But they need to index it to inflation or possibly double inflation because healthcare costs have been consistently rising above the rate of inflation. However, I had an HSA with high deductible insurance policy whose deductible was 2500. And that was higher than the deductible for most high deductible plans I looked into after leaving the position. So if they allow you to have a 2500 cap per person in the household I think it’d be more than reasonable. FSA’s are usually linked to a traditional insurance plan in which you do not pay as much out of pocket in return for higher insurance premiums (which if provided through work are already tax-free). As for the childcare thing, isn’t it supposed to be for medical expenses? Childcare is already subsidized for low-income families, and you get a tax credit for your dependents. I think there should probably be a cap on the amount that people can put through FSA’s. Otherwise it could turn into an unlimited tax dodge loophole for some people. $2500 a year seems a bit low though, so I’d prefer a higher cap. Capping it at say $5k or $10k for a family seems realistic to me. The keep messing with our money, and now tampering with FSA’s! What next? Is there a family or household cap as well? My wife and I both have access to FSA. Would our cap be 5,000 total or something less? I need to read up on this. We’ve never utilized the FSA benefit before, but were planning to next year for lasik surgery. To Randi: Actually, there are two seperate types of FSA’s; one for medical expenses, and another for child care. So, Congress’ move to cap the health-care FSA shouldn’t effect the child-care FSA. On a more broad note: what this amounts to is a tax increase, whether or not members of the Obama administration nor the US legislature admit it. They can stomp their feet and insist it isn’t a tax increase, but it still is. There are arguments to be made that FSA’s mainly benefit the ‘rich’, so capping the benefit has less political backlash than, say, raising income taxes or instituting a national sales tax or VAT tax. Less than thrilled with this. Especially considering it’s not indexed to inflation. How much more money will be wasted later on by the government to re-evaluate the limit simply because they neglected to account for inflation now? Why cap a valuable tool from individuals who are trying to do the right things with their money? I guess the gov is looking for a way to try to re-claim some of those sheltered tax dollars to fund all of the other health care changes. Why don’t they just nix all FSA’s, HRA’s and HSA’s, and make all healthcare spending (including insurance premiums) and all childcare expenses tax-deductible? Not wild about this. Considering how much you have to spend on medical costs before you get a tax break on it without an FSA, this was the only thing that helped make up the difference. Of course, I also think it’s pretty sad that this has to be offered by your employer to get one. Why should you not be eligible just because your employer doesn’t offer one? Capping it is a major deal. A lot of my friends use it to pay for daycare which costs about $1,000 a month where I live. If they capped it at $2,500 a year, that would hardly cover the expense.